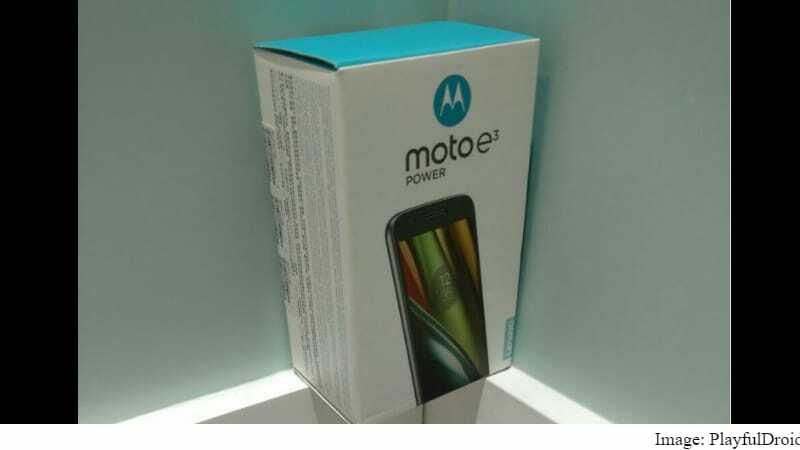 Motorola unveiled the Moto E3 smartphone in July, revealing a few specifications, a price tag of GBP 99 (roughly Rs. 8,800), and early September availability in the UK. Now, a variant called the Moto E3 Power has gone on sale via a third-party retail site in Hong Kong – with no official announcement for it yet. 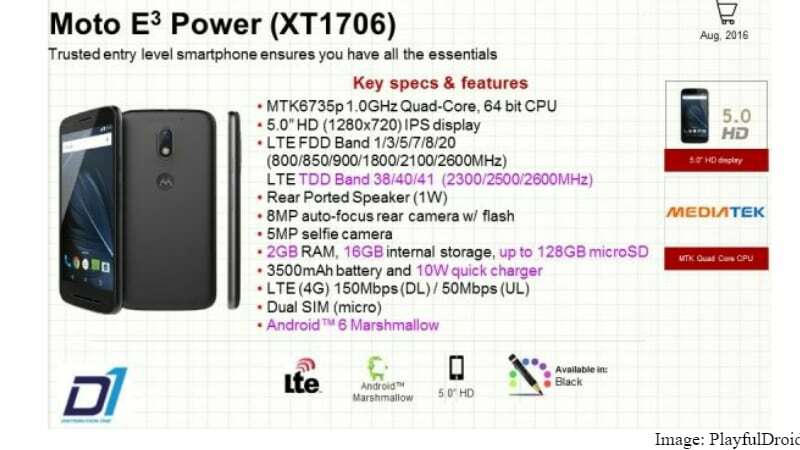 As the name suggests, the smartphone comes with a better battery, and it also bears a few upgrades to other specifications, and sells at a price tag of HKD 1,098 (roughly Rs. 9,500). There has been no official announcement by Motorola, so there is no clarity on whether the smartphone will be launched in international markets or not. As for the specifications, the Moto E3 Power offers more memory, more inbuilt storage, and of course the above mentioned larger battery, when compared to the Moto E3. The Moto E3 Power features a 5-inch HD (720×1280 pixels) IPS display, and is powered by a 64-bit 1GHz MediaTek MT6735P quad-core SoC paired with 2GB RAM. The smartphone offers 16GB of inbuilt storage with the option to expand further via microSD (up to 128GB). Optics include a 8-megapixel rear camera with LED flash and autofocus. A 5-megapixel selfie camera also sits in the front. The Moto E3 Power runs on Android 6.0.1 Marshmallow, and supports dual-SIM slots (Micro). It packs a 3500mAh battery, and offers connectivity options like 4G LTE, GPS, Buetooth, and Wi-Fi. The online availability in Hong Kong was first reported by Playfuldroid. With respect to the Indian market, Motorola hasn’t even introduced the Moto E3 yet. The company launched the Moto G4 in June for Rs. 12,499, and is selling it exclusively on Amazon India. The smartphone has been made available in Black and White colour variants.